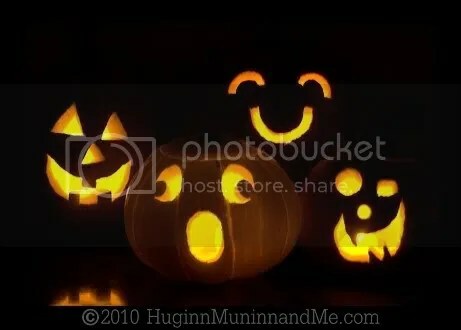 Splendidly decorated punkins!! Love ’em! We are planning to cut a few soon! Hope you are doing well! Those pics and great! 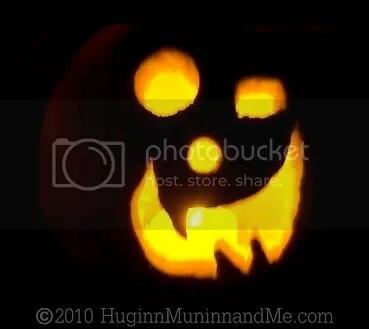 I love the carved pumpkins. We made “lanterns” this weekend with tissue paper (like what you did with leaves) and construction paper (for eyes and mouths). They are so great! Oooh! Good for you! We did those this year, too – it’s one of our most favorite projects ever! I’m just about to put a post up about them now, actually. You’ll have to send me over a picture of yours! ugh, i love all things fally. and i love those white pumpkins! that quote was really cute! I love them!! 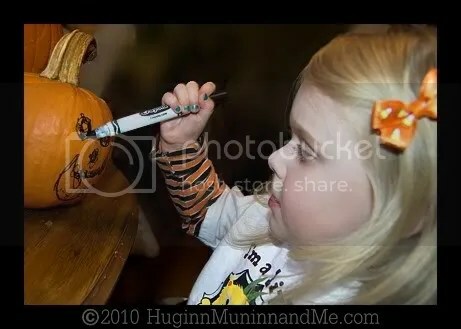 You even inspired me to do our own jack-o-lanterns even though I hadn’t been planning on it! I love the squinty eyed one. I’m assuming that is yours? Oh, that first pic is SO GOOD! What a nice arrangement pumpkins and gourd. T’s smile is endearingly sweet. Just look at Ro’s toes by the little pumpkin …. cute. You’ll have to tell me how you get T’s side bow to stay in place so nicely. Do you attach it in some special way? It looks really good. 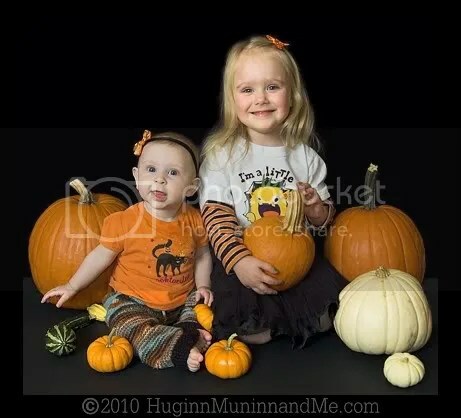 pumpkins are bootiful, but my granbabies are BEAUTIFUL!, great job, mom n dad!!! Thanks, Foof! You just reminded me that I forgot to mention a super big thanks to Kendall for making and sending my girlies these adorable candy-corn bows! We love ’em! As to how they stay in. . . *shrug* must be Kendall’s magic charms! The bows are attached to alligator clips. I was surprised myself by how well they stay in T’s superfine hair. SO glad they do – they just kick that girly cuteness up like 2,000 notches! Go and order some for your little lady! You KNOW you want to!! !